Locations around Washington Square, including a full occupation of the subway station at West 4th Street as well as on LaGuardia Place (in collaboration with the NYC Department of Transportation), Judson Memorial Church, and public phone booths around Manhattan. 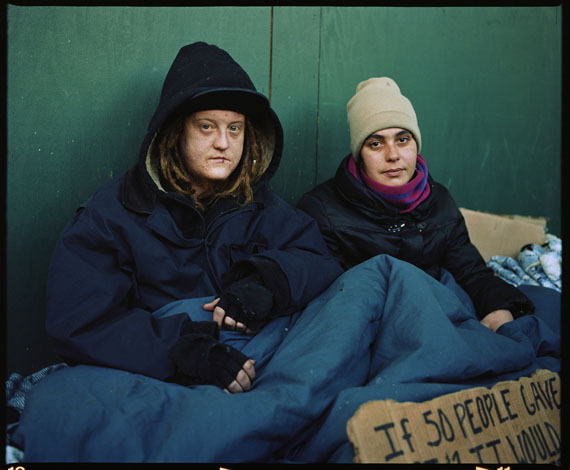 Over several months, Andres Serrano has engaged with homeless individuals in New York City, creating a series of large-scale photographic portraits called Residents of New York, a site-specific public art project which takes a look at the many faces of homelessness and poverty in New York City. Starting May 19 and running for four weeks through June 16, 2014, his photographs will transform distinct locations around Washington Square, including a full occupation of the subway station at West 4th Street as well as on LaGuardia Place (in collaboration with the NYC Department of Transportation), Judson Memorial Church, and public phone booths around Manhattan. 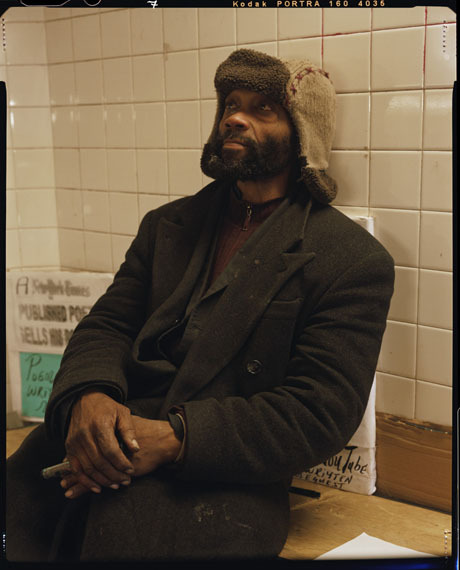 Serrano initially photographed homeless individuals in New York almost 25 years ago in 1990 for a series of powerful studio-style portraits titled Nomads. In Residents of New York, he removes his signature studio elements, focusing instead on personal connectivity and interaction directly on the streets of New York City, where the homeless live. These portraits give a dignified face to a group of people often ignored and marginalized in society. The men and women who are often invisible on the streets now demand a second look. This experience will be a compelling revelation to those familiar and new to the work of Serrano.